Bantayan is the island that stole my heart. 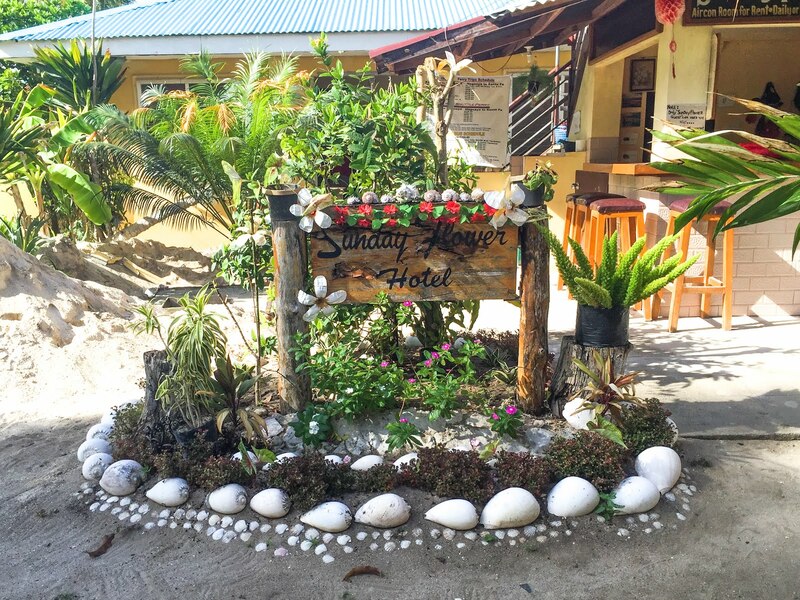 It Was Our first stop on our 21 day trip through the Philippines, and I could have stayed there perfectly for weeks or honestly, for the rest of my life. 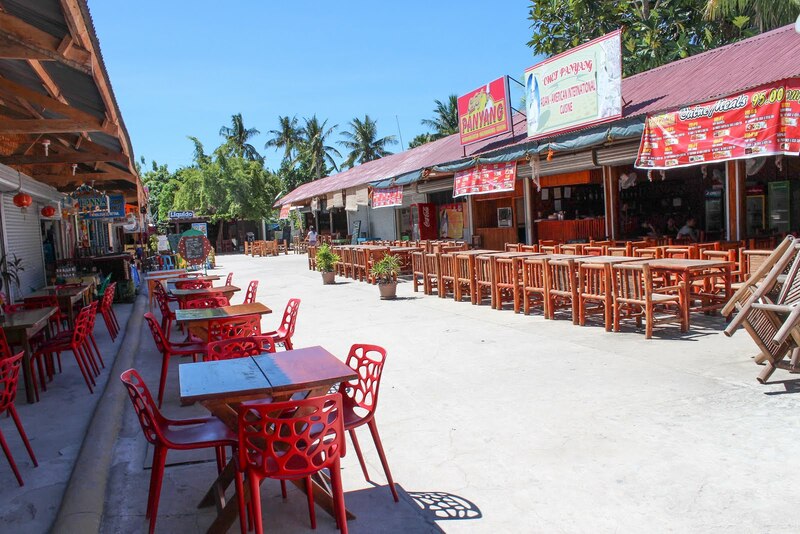 In fact, many foreigners live in Bantayan who have decided to undertake a new life here. Many of them live in the big houses you'll find on the way from Ogtong Beach to Paradise Beach. When I saw these houses I could not help feeling a mixture (healthy) of admiration and envy, for having decided to live a new life in that piece of paradise. 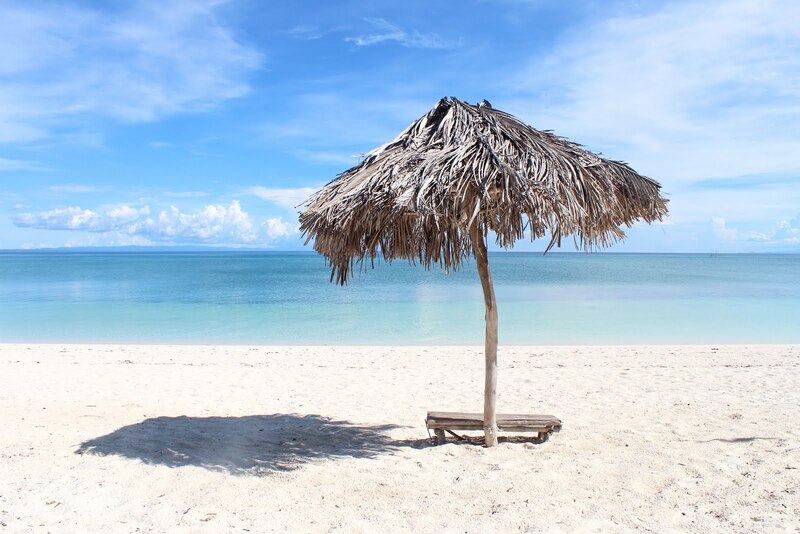 It Is a quiet island, and on the beaches of Santa Fe This is what you will find: absolute tranquility. There is No noise, the water barely moves and the peace is only disturbed by the Crows of the Roosters. 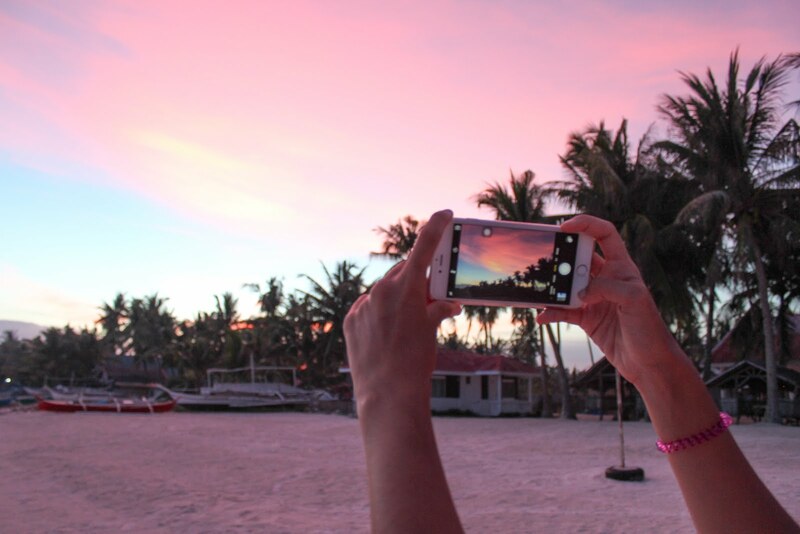 In Bantayan We could appreciate the Filipino way of life. Here we find that absolutely all children (and not so children) with whom we crossed greeted us with joy. 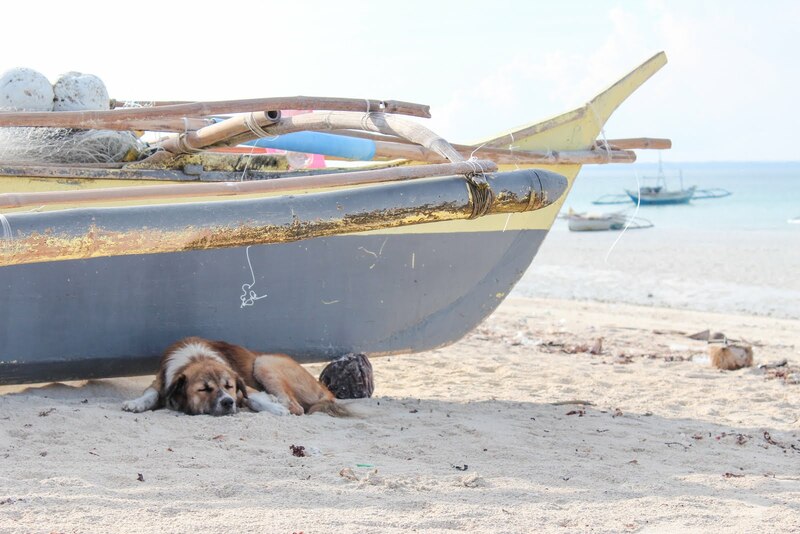 We check how the Filipinos have their roosters as pets, who they carry by boat if necessary. We are also for the first time with the Karinderías, although We do not eat in them until later. They Also gave us their happy and peaceful spirit, and we confirmed the Spanish heritage when we saw their reconstructed churches. 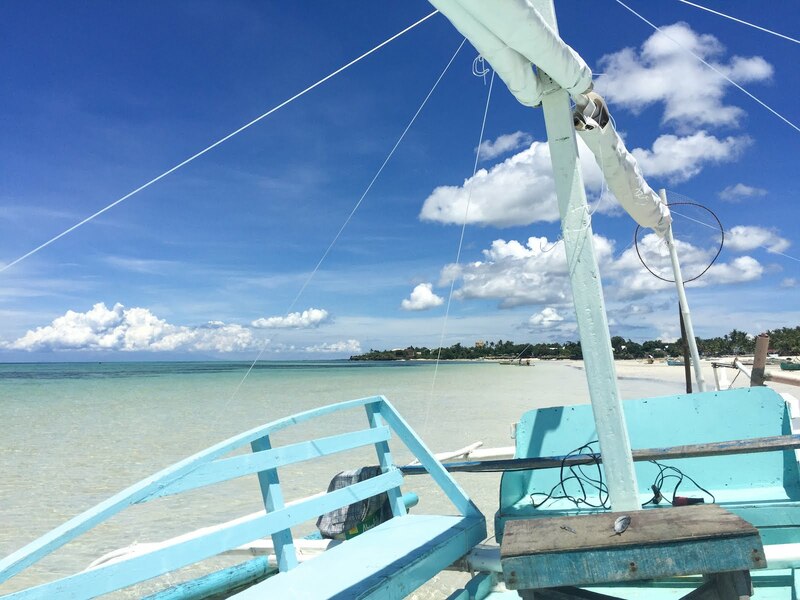 The Island of Bantayan was ravaged by Typhoon Yolanda in the year 2013. Unfortunately we could also see that there were still some remains of the disaster in some of the constructions on the beach. 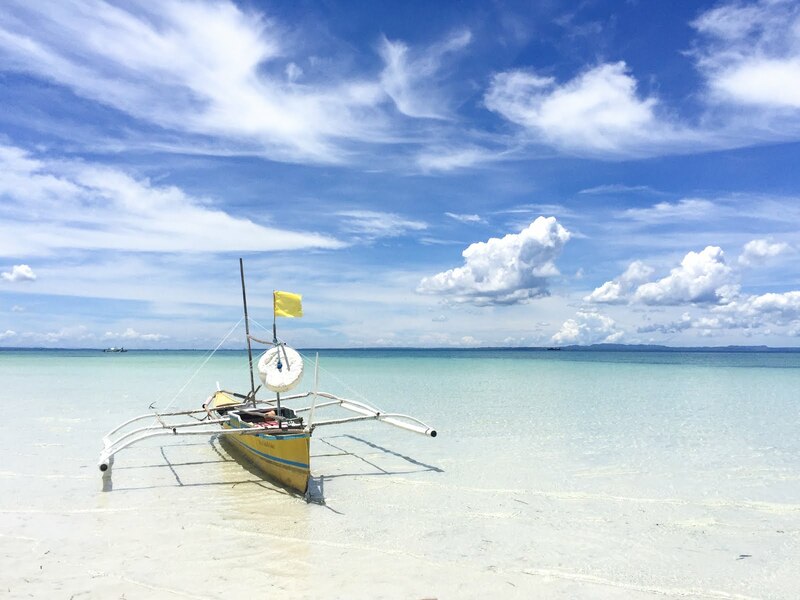 In This post I will tell you about what to visit in Bantayan, where to sleep and eat, how to arrive and a list with the prices that we found in July of 2016. 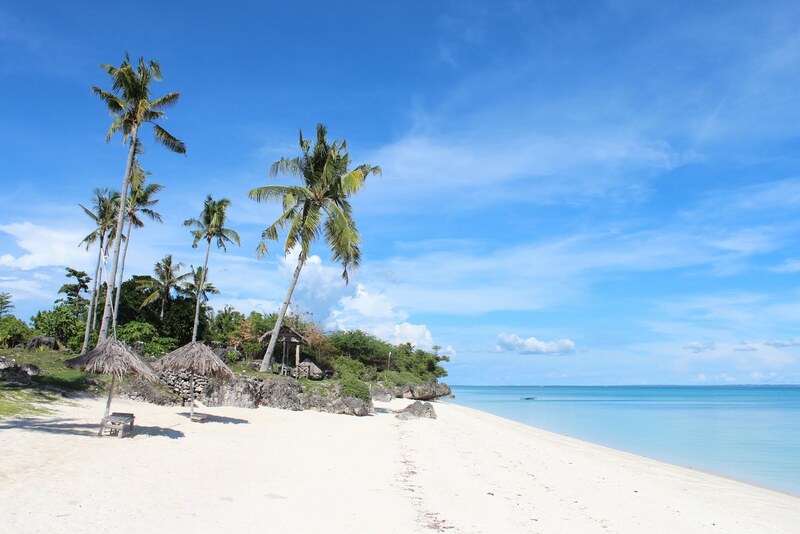 The biggest attraction of Bantayan are the beaches of Santa Fe, which was where we stayed. Another popular option is to rent a motorbike and visit Madridejos, north of the island and enjoy its sunset. I like to think of Sugar Beach as my beach. Back to reality, this beach belongs to the inhabitants of Santa Fe, their fishermen and their children, who spend their days in the absolute calm. The first day at Bantayan I was awakened by the Crows of the Roosters. It Gave the feeling of being in an unknown place for the rest of the world: it is hard to believe that such a paradisiacal place is not crowded with tourists and resorts. In fact, they did see some establishments along the beach, however they all gave the feeling of being closed or empty. The only people that could be seen on the beach were the locals: fishermen and children, working on their nets or playing. Some of these children are also dedicated to selling shells to the few tourists that can be found. 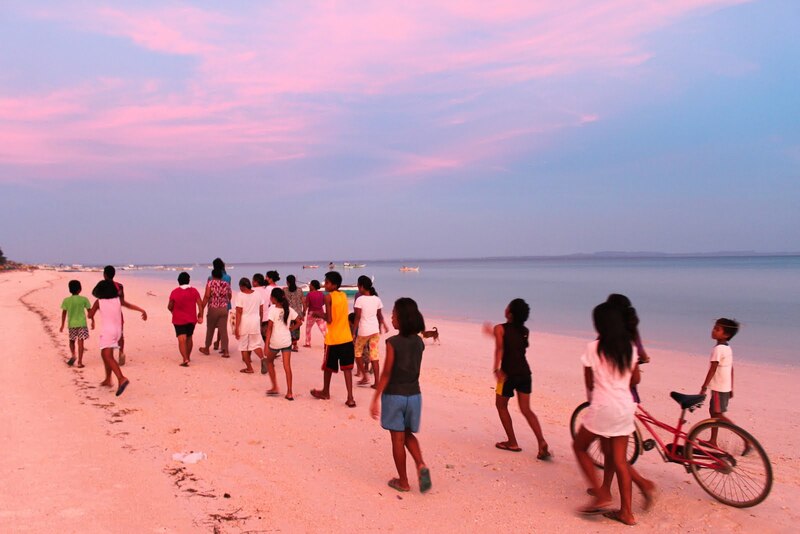 One of the days, during the sunset, the inhabitants of Sugar Beach surprised us with a procession by the sand of the beach, carrying a saint and singing after him. It'S A picture that's been kept in my retina. 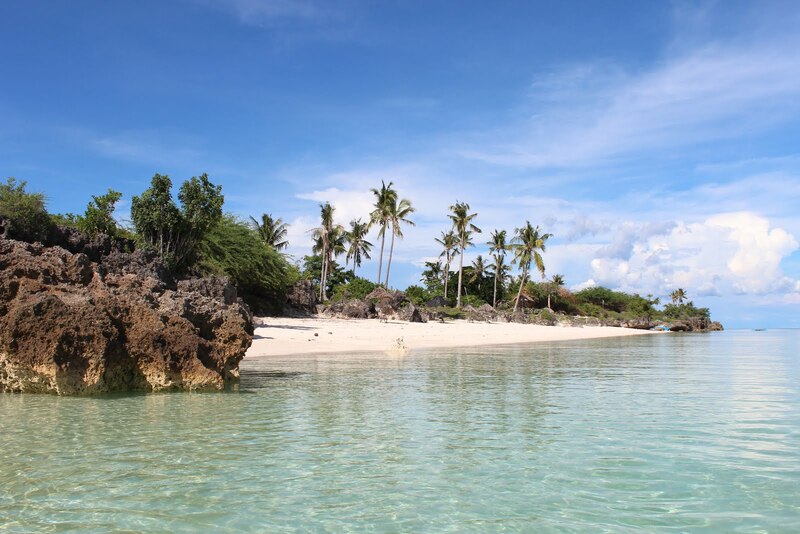 Kota Beach is Bantayan's most photogenic beach. 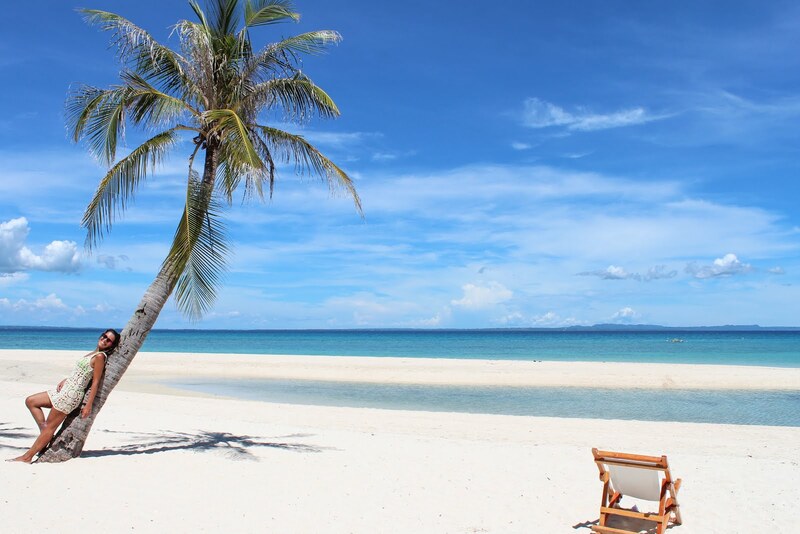 Its Sandy Tongue is breathtakingly beautiful, its transparent and warm waters and its clean and white sand, surrounded by palm trees, make this beach the favorite of all, including Filipino tourists. But you'll hardly find people. It Is right next to Sugar Beach. You will recognize it immediately by its unmistakable tongue of sand. One of the days we had breakfast at the Kota Beach Resort with these views at a very affordable price. They Also offer massages on the beach, if you're looking to give yourself a real treat. This Is a very tiny beach that belongs to the Ogtong Beach Resort. Within this you can visit a small cave whose entry costs about 100 PHP. We didn't do it. From This beach you can get a panoramic view of the beach of Sugar Beach, but it does not live up to the beauty of the beaches that surround it. We Had doubts about visiting or not Virgin Island. We Thought that in Palawan we would be doing island hopping all day (Error!) so at that time we did not seem an essential visit. 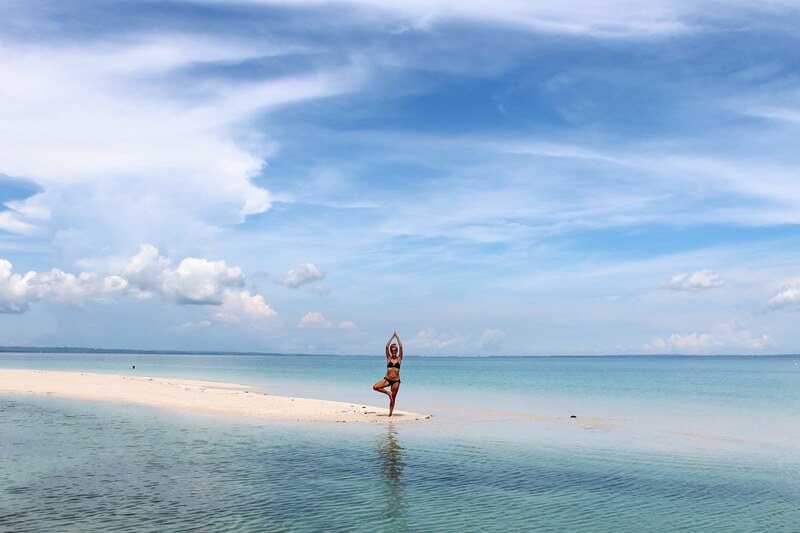 What definitely convinced us to dismiss our visit to Virgin Island was when we spoke to a foreigner resident in Bantayan. According To him, the visit is too expensive when for very few pesos it is possible to visit Paradise Beach, also known as "Mini Virgin Island". This Beach is accessible both on motorbike and tricycle and as it is a private beach, you must pay a small entrance. 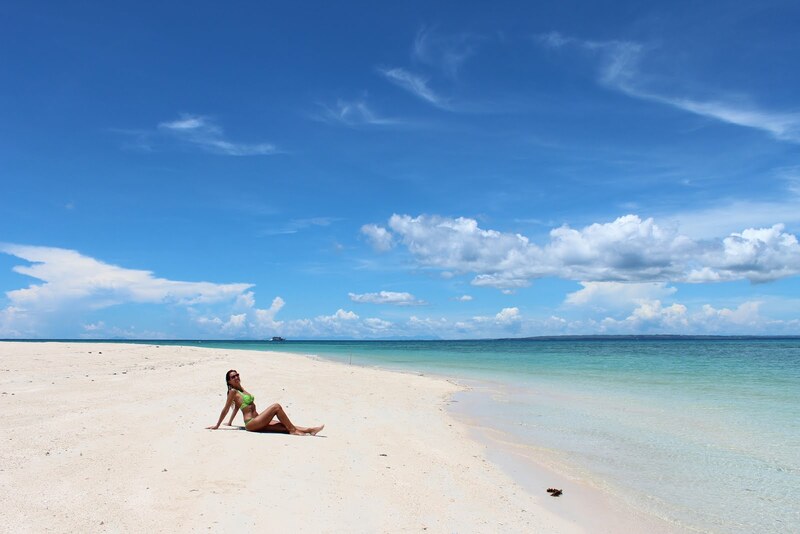 Paradise Beach is the best kept secret of the island of Bantayan. When we got to Paradise Beach there was absolutely NO ONE. Only after a couple of hours did a couple of other people arrive by boat, but the feeling of being in such a place and being able to enjoy it for yourself is just indescribable. We were laughing to see how lucky we were! TIP: Beware of jellyfish! As the hours passed, more and more black jellyfish were approaching the shore of the beach. But don't worry too much: it's easy to distinguish them in the water so transparent. 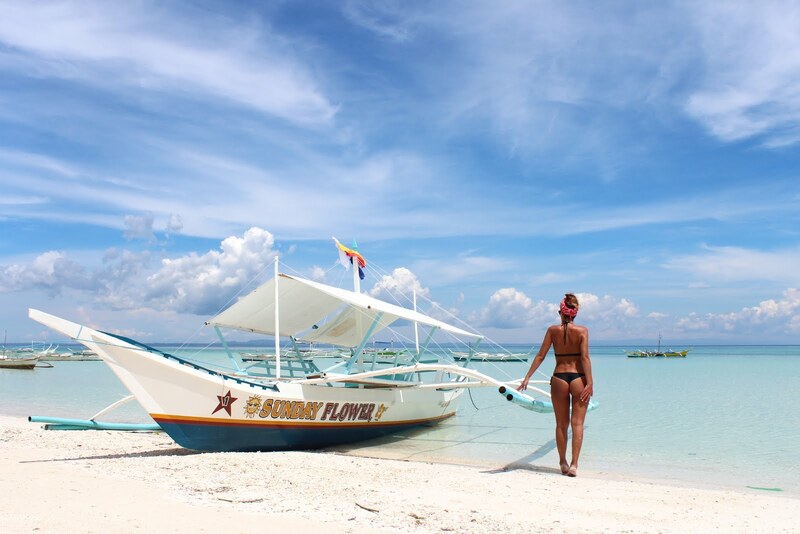 We Chose the Sunday Flower while consultábamos the Lonely Planet during the ferry ride to Bantayan. From the port we took a tricycle that would take us directly to here, and although we haggle, we did not enter our plans to consider any other option: we were too tired to compare. The room was perfect: the bed was comfortable, the bathroom clean and the WiFi correct, what else could we ask for? Its best quality: down the stairs of our room, we appeared directly in the sand of Sugar Beach. 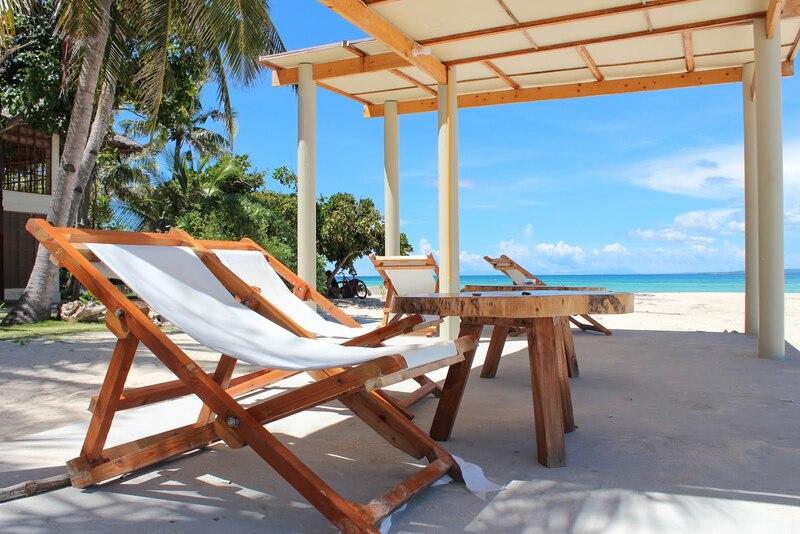 Other recommended options for cheap sleep in Bantayan: Bantayan Cottages, Skips Beach Resort. 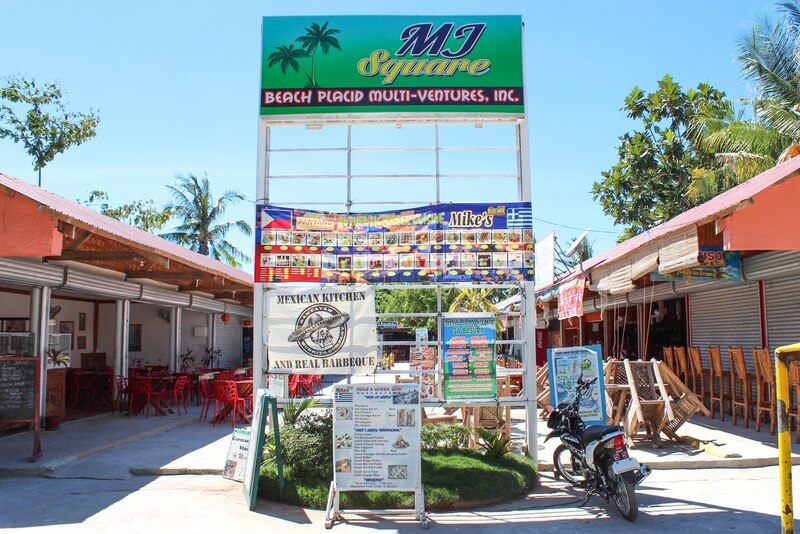 We always had breakfast at the resorts and for lunch and dinner, although there are small karinderías or eateries where We eat cheap in Bantayan, We always went to MJ Square. It Is A much more tourist-oriented place, just behind Kota Beach but that has many dining options and most importantly, at economic prices. I recommend the first establishment on each side of the poster that appears in this image, as well as the Greek and the Mexican. We Take a taxi from Cebu-Mactan airport to the North bus station. After First contact with the crazy traffic of Cebu we arrived at the station, where the Filipinos always indicate you without you ask them where you should go. To get to Bantayan from Cebu City, we took a bus to Hagnaya and after about 4 hours on the road, we took the ferry to Bantayan whose route is about 1 hour. Although We arrived early in the morning to the airport, when we got settled in our room in Bantayan it was already setting the sun. After paying the boat ticket and the municipal and island rates we hopped on the boat and said goodbye with melancholy to this beautiful island. When we arrived again at the port of Hagnaya we decided to take a van instead of the bus, considering that it is somewhat faster and that we still have many hours ahead on the road. Once in Cebu City we took a taxi to the V-hire station at the Seaside Mall to take another van that this time yes, we would leave it directly in the city. TIP: We had a hard time in Cebu City to make us understand when we said we wanted to take a van and not a bus. At some point the word v-hire appeared in my head and was key for the taxi driver to take us to our next means of transportation. Remember her! They Go to Alboal = 100 php per person and other 100 PHP by the backpacks, which were occupying a square. Bantayan, thank you for giving me the best welcome to the Philippines. I'll Always take you in my heart.